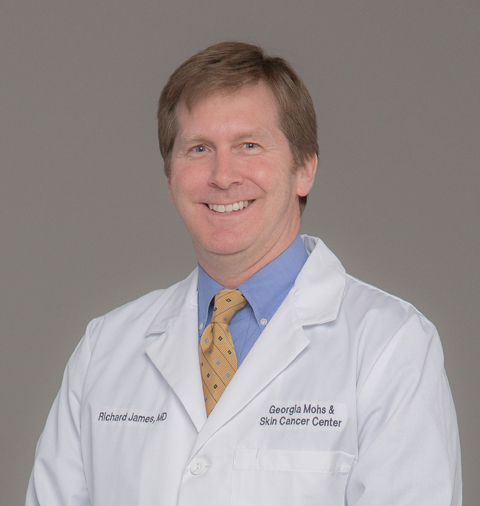 Dr. Richard James is certified by the American Board of Dermatology and has practiced dermatology for 16 years. Dr. James completed his Dermatology Residency at Walter Reed Army Medical Center in Washington D.C. and a Mohs Surgery Fellowship at The Skin Surgery Center in Winston- Salem, NC. Over the past 10 years, Dr. James has performed more than 5,000 Mohs surgery procedures and is an expert in skin cancer diagnosis, treatment, and reconstructive surgery. Dr. James retired from the United States Army as a Colonel in the Medical Corps, in July of 2013 after 24 years of active duty service. During his time in the military, he served as a consulting Dermatologist to the White House and U.S. Capitol, Dermatologist, Mohs Surgeon, Flight Surgeon, academic staff at a Dermatology residency, and as Assistant Professor of Dermatology at the Uniformed Services University of the Health Sciences. Dr. James' last military assignment was as the Director of Tuttle Army Health Clinic at Hunter Army Air Field and Dermatologist and Mohs Surgeon at Winn Army Hospital at Fort Stewart, Georgia. Dr. James serves in our Savannah, Brunswick, Hinesville, and Statesboro locations. 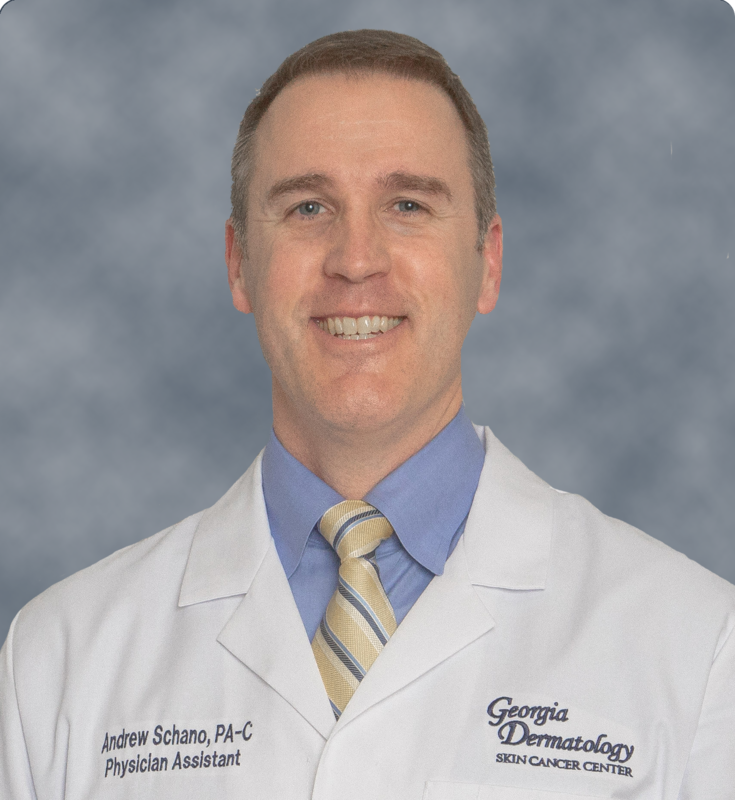 Mr. Andrew Schano, PA-C is certified by the National Commission on Certification of Physician Assistants and has practiced as an Aeromedical Physician Assistant and Dermatology Physician Assistant for the past 13 years. Andrew completed his Clinical Master’s degree in Dermatology and his Master of Physician Assistant Studies at the Military Physician Assistant Program accredited through the University of Nebraska Medical Center. He also retired from the United States Army as a Major in the Medical Specialists Corps, in September of 2016 after 20 years of active duty service. His last assignment was Assistant Professor at the Interservice Physician Assistant Program at Fort Sam Houston, TX where he taught Dermatology to Military PA Students. Andrew serves in our Savannah, Hinesville, Richmond Hill and Statesboro locations.